PhotoCat.co.uk: I am not eating this! Are you sure you know what the kittens eat? 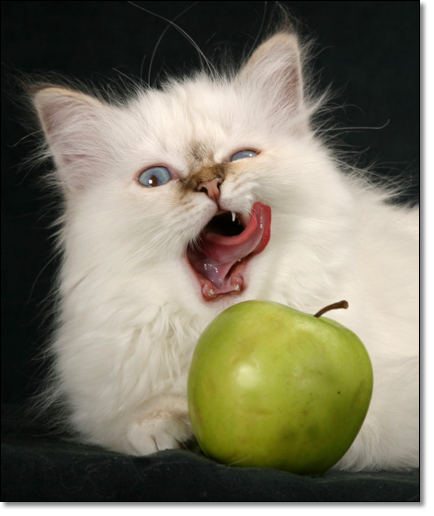 An amusing and unexpected shot of a kitten demonstrating his disgust at the offering of an apple.